thought I'd died and gone to Heaven." Ever heard that expression? I'm sure you have, but have you ever experienced it? 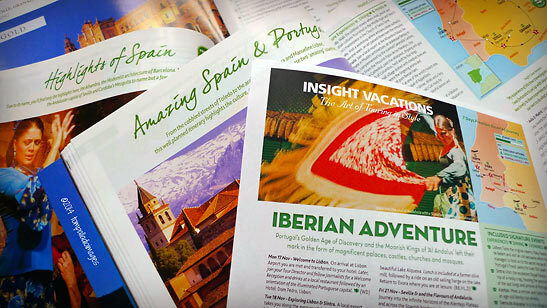 Well, joined at the hip with my "band of merry media"  29 travel journalists and photographers invited by Insight Vacations (Insight) to experience a portion of its Iberian Adventure through Portugal and Spain  I'm about to find out, firsthand, the foodie meaning of expiring on the spot and heading for the pearly gates. 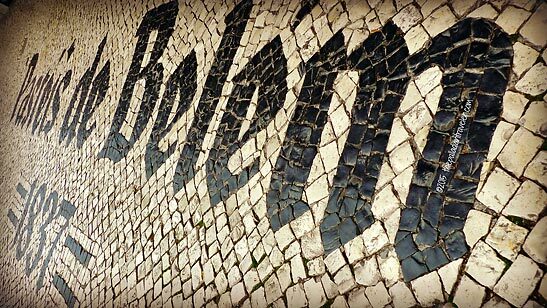 Off the luxury motor coach and down onto the decorative mosaic cobble we go, headed for an Insight "signature" moment at Antiga Confeitaria de Belém, the iconic sugar cane refinery-turned-pastry shop in this bustling district of Lisbon, where the Holy Grail of Portuguese sweets, Pastéis de Belém  egg custard tarts  have been baked, sold and consumed on the premises since 1837. Bypassing the lengthy queue  there's no waiting in line when you travel with Insight  we're ushered inside for a VIP tour of the facility with Francisco, chief of the wait staff, to see what all the fuss is about. 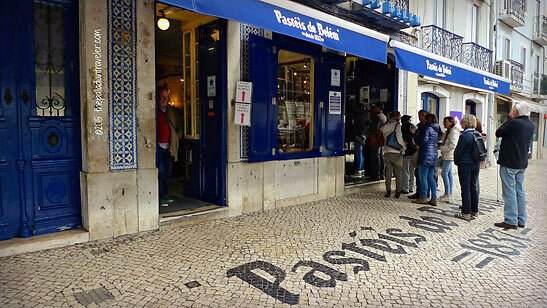 According to our well-fed expert, the centuries-old recipe for Pastéis de Belém  invented by monks at nearby Mosteiro dos Jerónimosis until the doors were bolted shut during the Liberal Revolution of 1820 and the clergy sent packing and forced to sell their prized, step-by-step culinary instructions just to survive  is a closely guarded secret known only to an inner circle of three. That's apparent, as mum's the word on the lips of each and every employee I encounter. COME ON. GIMME A NAME! The best I can coax out of any staff member during my impromptu interrogations is a shrug and a smile. Okay, be that way. 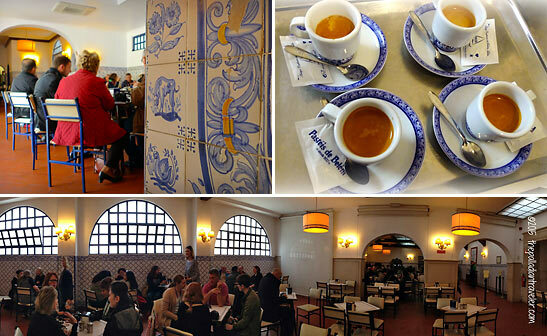 Reserved seating inside one of the azulejo ceramic tiled rooms awaits, and coffee orders to accompany the goodness we're about to receive are taken. Uh, let's see. I'll have a single-shot baca topped with whipped cream. No, make that a double shot, por favor. 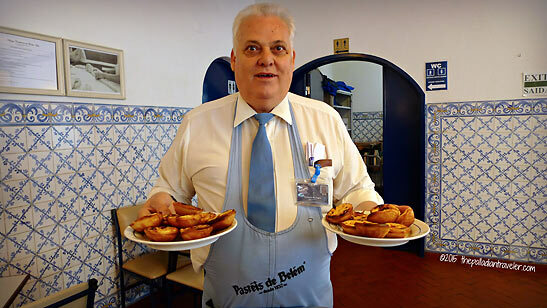 After just one bite it's easy to understand why Pasteis de Belém are adored by Lisboetas. 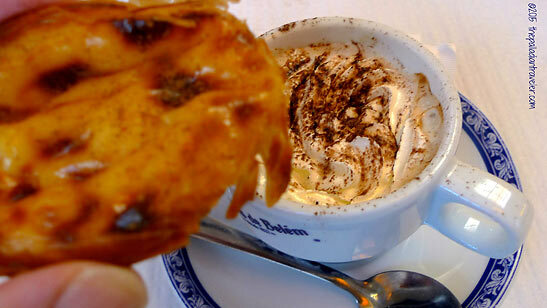 The pastry's shell is made from massa folhada, Portugal's equivalent to France's puff pastry, consisting of hundreds of crisp, flaky layers, and it's filled with a rich, luscious egg custard highlighted by the distinctive mottled brown top. 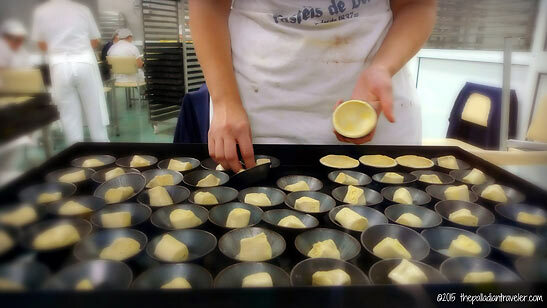 Of the 10,000 tarts that'll be baked today, I'm plated several. 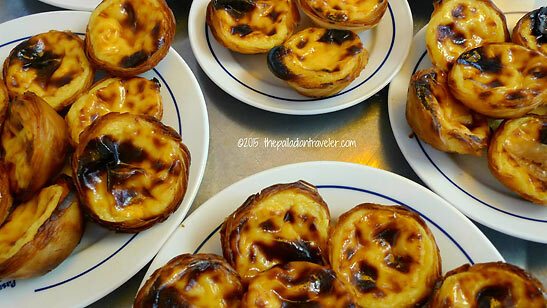 A dash of cinnamon completes the prep, and quicker than you can say "Vasco da Gama," they're devoured and I immediately ascend into Heaven with egg custard on my face. 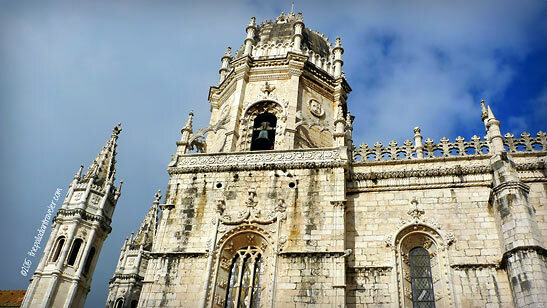 With a sugar rush just about ready to kick in, my "band of merry media" and I are back out on the decorative cobble racing up the street towards our last stop in Belém: the Mosteiro dos Jerónimos, the Manueline-style monastery that serves as the final resting place for numerous Portuguese kings and queens, along with the aforementioned Vasco da Gama. See you inside.